Another week, another record. The wool market was again lit up with green across the board. But where one wins, one must loose. We’re seeing the effects of what has been a remarkably strong season play out on supply, and this means buyers are having to fight it out. This weeks offering was a hefty 6,310 bales lower than last week, with just 30,053 offered to the trade. At a pass in rate of 2.2%, this meant 29,392 bales were cleared. AWEX reported that lower yielding, lesser style wools were again prominent. Despite this, buyers were willing to pay up to secure stock, indicating an air of nervousness about the levels of supply. The Eastern Market Indicator (EMI) gained 20 cents on the first day of selling, and lifted a further 19 cents on Thursday to close at 1893 in Au$. Smashing last week’s record to an all new high. 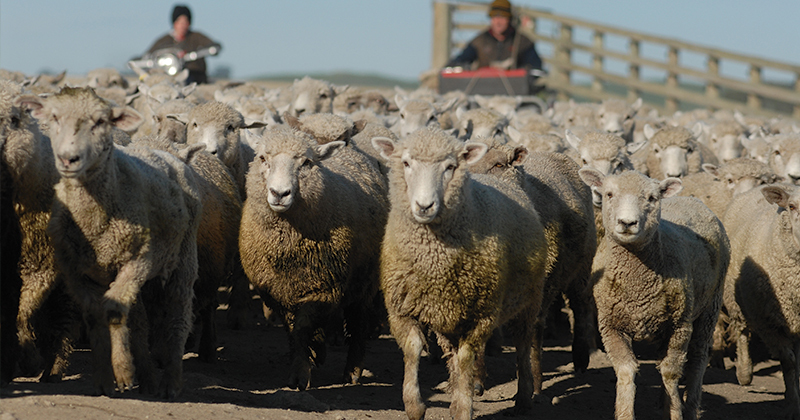 Records appear to be the new norm for the wool market. The weeks rise was on par in US$ terms, increasing 39 cents to hit 1,501 cents (Figure 1). This was supported by a stronger Australian dollar, trading at US$0.757. There was little variation in the market movements between microns this week. 50 to 80 cent increases were typical for 17 to 22-micron wools in Sydney and Melbourne, although fine wools were the stand out performer in Melbourne this week with gains up to 90 cents. The Western Market Indicator (WMI) rose 39 cents on the week to 2119 cents. Merino skirtings made an improvement on the week as well. Well-formed lines received gains of 60 cents. Cardings had a strong week as well with the indicators up on average 30 cents. Crossbreds were the only category that failed to see prices increase all round. While the 26 micron rose 42 cents on the week, 28 and 30 micron fibres fell back in the range of 5 to 10 cents. The roster for the next few weeks points to the offering remaining thin. Next week just 31,336 is on offer, while the following week, a skimpy 25,119. This is well under the offering during the same weeks last season. If this week’s bullish market, driven by buyer uncertainty is an indication of how the market is feeling, we could certainly see it reach higher levels in the coming weeks.